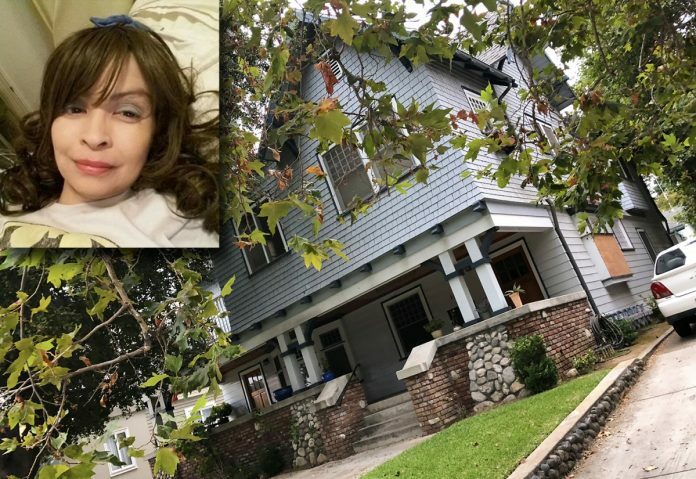 PHOTO: SouthPasadenan.com News | Actress Vanessa Marquez lived in one of the three apartments in this Fremont Avenue home. While the world remains in shock over the violent death of actress Vanessa Marquez, the tight-knit community of South Pasadena struggles to find a way to honor the memory of a friend and neighbor. No funeral arrangements for Marquez have been announced. Her father is deceased and Marquez told friends she had been estranged from her mother for a long time. However, she had a legion of friends who are coming together to find a way to memorialize her life. On Sunday, Hansen created a Facebook page, titled “Friends of Vanessa Marquez Memorial,” for an event tentatively scheduled for Sept. 22 at 11 a.m. The location is still to be determined. Meanwhile, two separate investigations by the Los Angeles County Sheriff’s Department and the District Attorney’s Office into the officer-involved shooting of Marquez are underway. As reported last week by the SouthPasadenan, police said they had been called to the Marquez residence on several occasions in the past for help. On Thursday, Marquez’s landlord called police to report Marquez was having medical trouble. Accompanied by a county mental health clinician, police say they spent 90 minutes at the home in an effort to provide help. Ultimately, Marquez became agitated and armed herself with what appeared to be a semi-automatic handgun that was later identified as BB-type gun, according to Lt. Joe Mendoza, of the LA Sheriff’s homicide bureau. PHOTO: SouthPasadenan.com News | This north-facing window was damaged during Thursday’s shooting. Marquez loved South Pasadena for its small-town character. She loved to drop in at Fiore Market Café, a beloved neighborhood eatery where she felt at home. As her career and health and natural sunny disposition in life all seemed to decline, Marquez spent much of her time in her small apartment, bedridden by celiac disease, fibromyalgia and depression. She’d tweet or post on social media about her passions and struggles — from her love of Star Wars and admiration for actresses like Carrie Fisher to the hardships of living with a terminal disease and debilitating pain. The actress also said she was suffering from financial woes and facing possible eviction. She acknowledged she was down to 82 pounds. Marquez was shot in her torso at the landing of the stairwell in the three-apartment house she called home. Police have not yet released information about how many times police fired but said Marquez did not fire a shot. There is an undercurrent of confusion and anger swirling throughout South Pasadena about how a frail woman with a history of medical calls to police wound up shot to death. The Epilepsy Foundation issued a statement in response to Marquez’s death, acknowledging it did not have specific details about Marquez’s final tragic moments but that the incident, nonetheless, served as a reminder for why it is important for others to learn how to recognize seizures and administer seizure first aid. 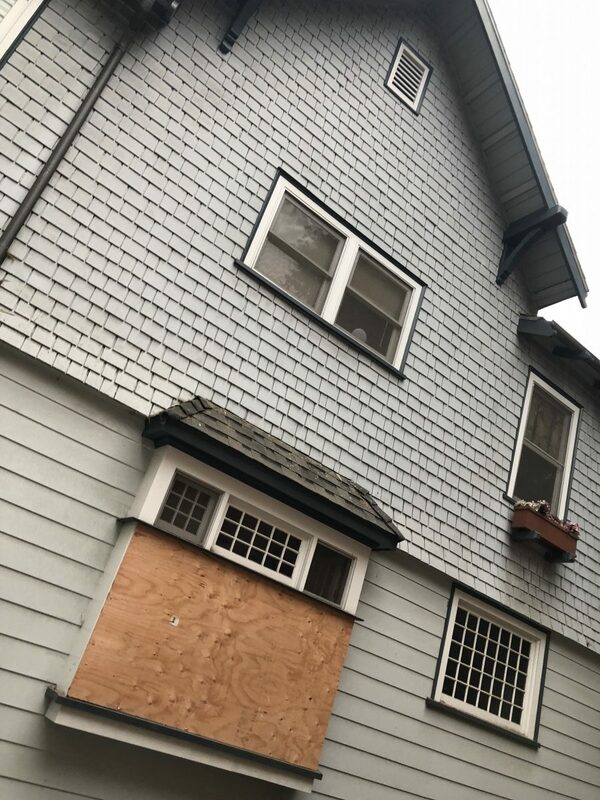 On Sunday, aside from a boarded up window damaged in last week’s fray, the house was indistinguishable from any other on the 1100 block of Fremont Avenue. On the front steps, there were no flowers. No balloons. No signs of a memorial or tribute to an actress who gained worldwide fame for her talent and prowess in front of a camera. If there were, they had been removed. Over the weekend, former fellow cast members took to social media to express their sadness. Actor James Woods tweeted about the need for more awareness surrounding mental illness. Marquez made headlines last year when she alleged that former “ER” star George Clooney of blacklisting her from the show for complaining to executives about harassment on the set. Clooney has denied the allegations. Hansen, Marquez’s friend, said Marquez’s life deserves to be honored in a way befitting the actress with an endearing personality. Great article,please keep Us posted on any updates. thanks much.